Construction is underway in Bedford County for a new justice complex located on Northcreek Drive near the Shelbyville Municipal Airport. 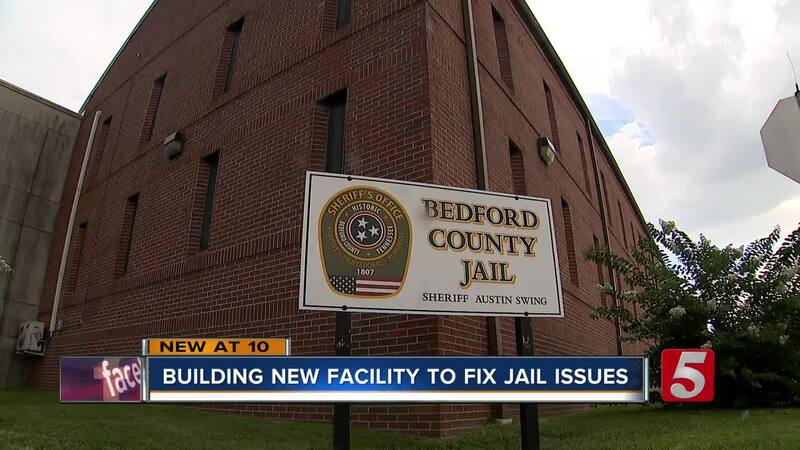 The new facility would be a much needed relief for Sheriff Austin Swing who has been dealing with problems because of severe overcrowding and old conditions at the current jail in downtown. "It's extremely overcrowded," said Swing. "That jail was originally built for 68 prisoners and at times we've had close to 200 in it. If it could be turned into a brand new one right now it would not pass inspection because it was never built right to start with." Concerns for public safety grew following countless inmate escapes, vandalism, drug smuggling and makeshift weapons. In February, an inmate escaped the jail by climbing into a vent in the ceiling of his cell which put him in the jail’s roof. He cut a hole through a vent in the roof and scaled the side of the building. In 2016, the county approved a $35 million facility that would house a variety of things including the new jail, sheriff’s department, four court rooms and clerk offices. The 127,000 square-foot plan sits on 52 acres of land. "The county is under a plan of action which means if we don't build a new jail facility, we are going to be closed down by the state of Tennessee," added Swing. It will be able to hold 430 inmates plus a workhouse. It is a major upgrade from the current jail which only has 68 beds but is holding more than 170 inmates. Bell & Associations Construction is leading the project with Spirit Architecture as the designer. Project manager Alex Nance took NewsChannel 5 to the construction site on Thursday. Construction workers were building what's called a common wall that would separate the jail from the administrative offices. Construction began in April and should be completed within the next year-and-a-half.